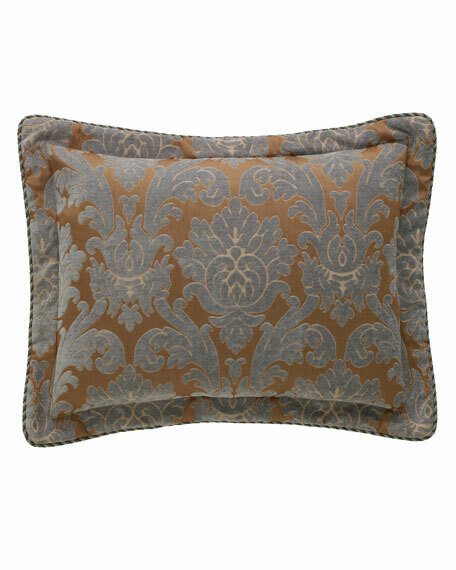 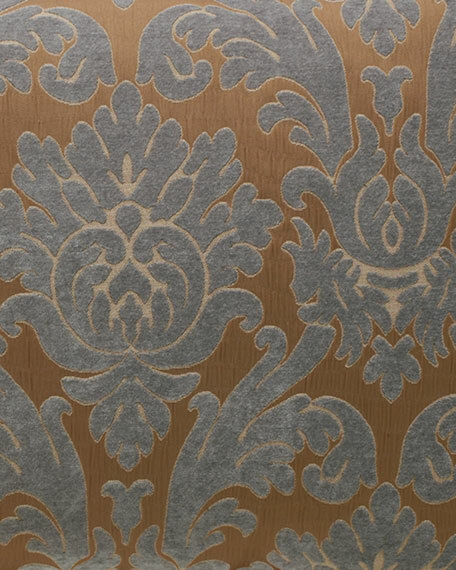 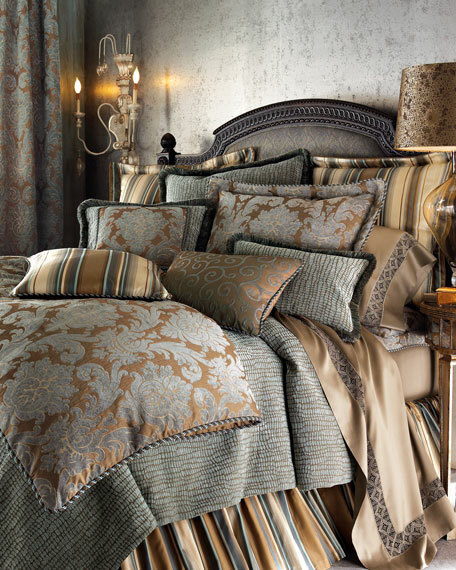 Rayon/polyester damask with cotton reverse. 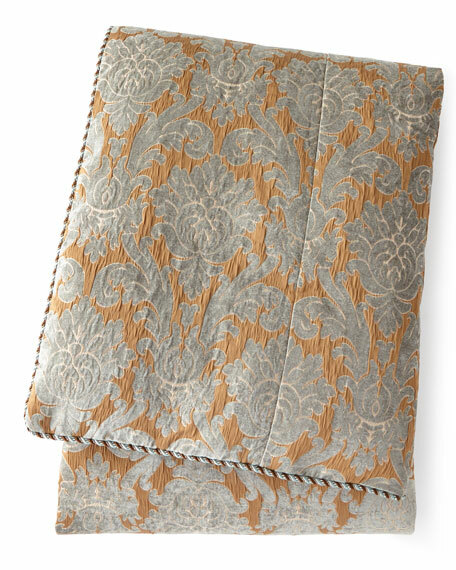 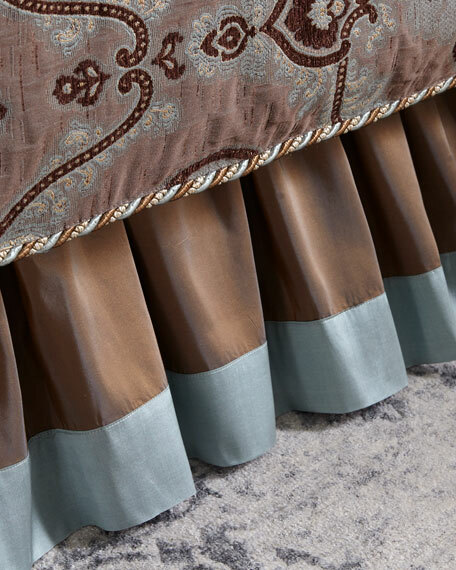 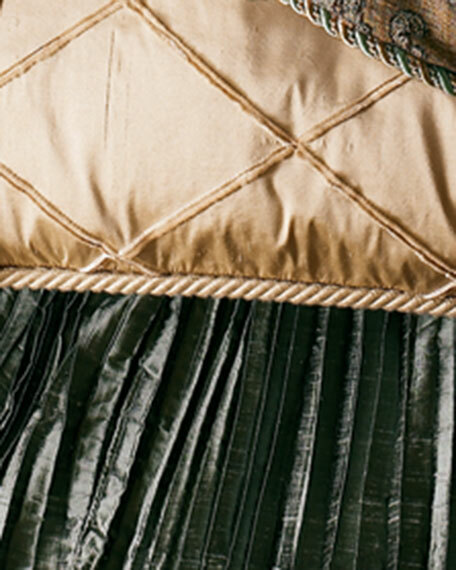 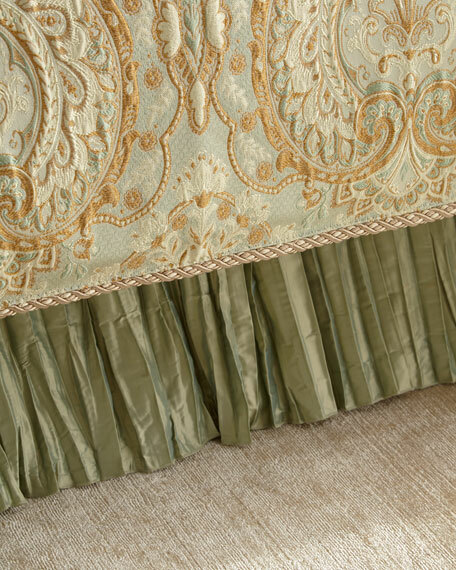 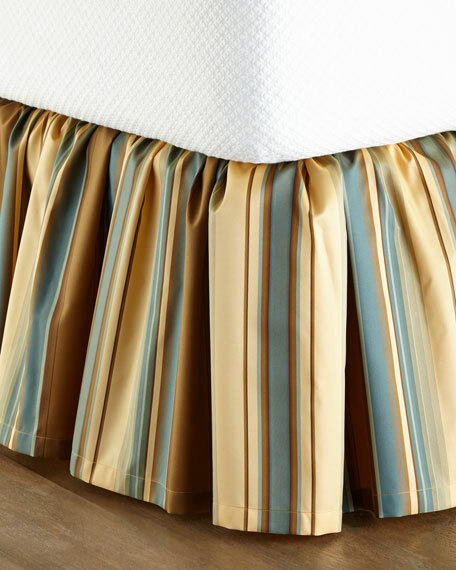 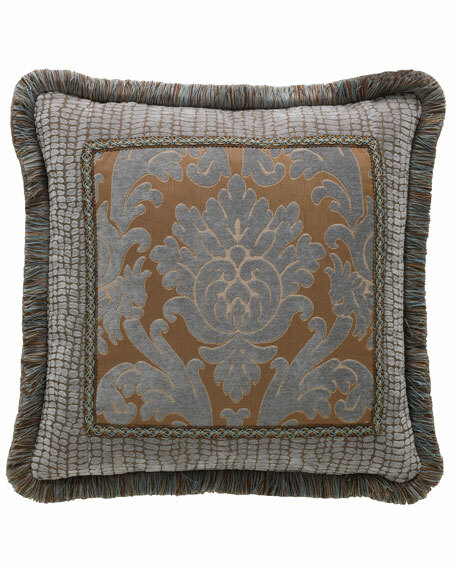 Damask center; crocodile-print border; fringe trim. 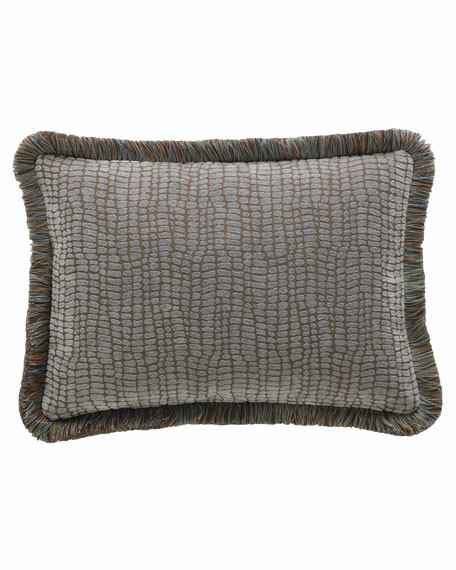 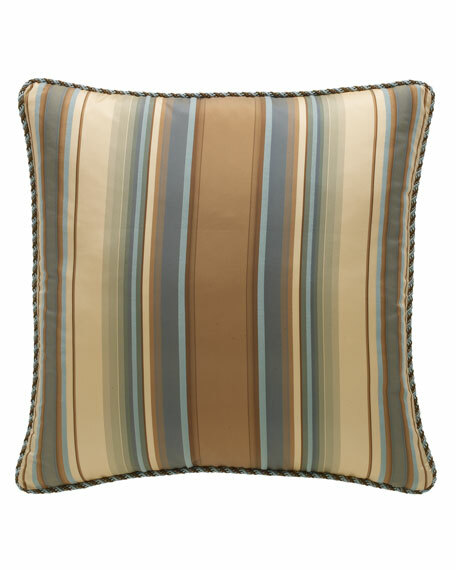 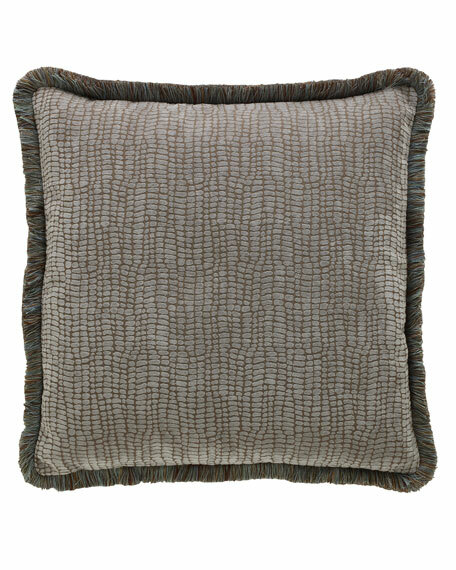 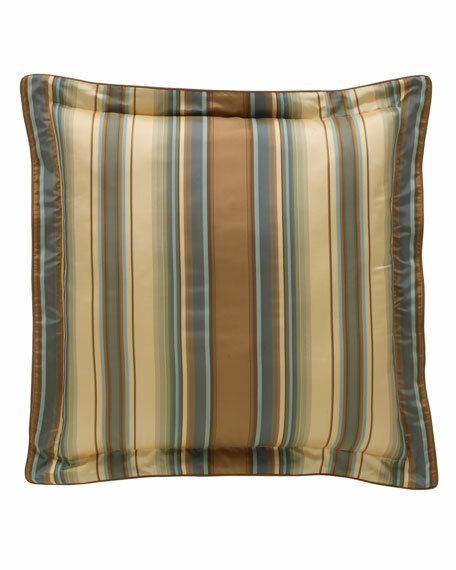 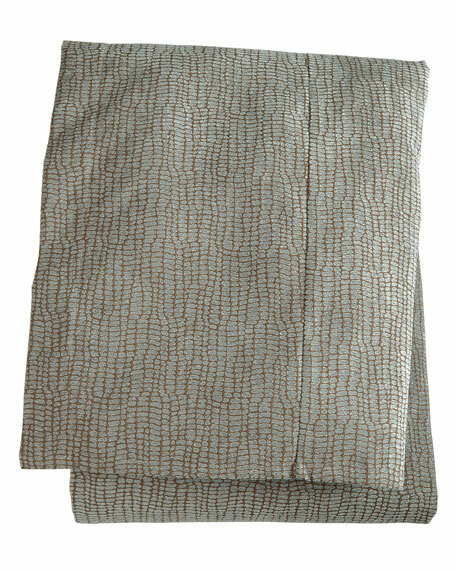 Legacy Bella Crocodile Pillow, 14" x 20"
Stripe pillow with twisted cording edge. 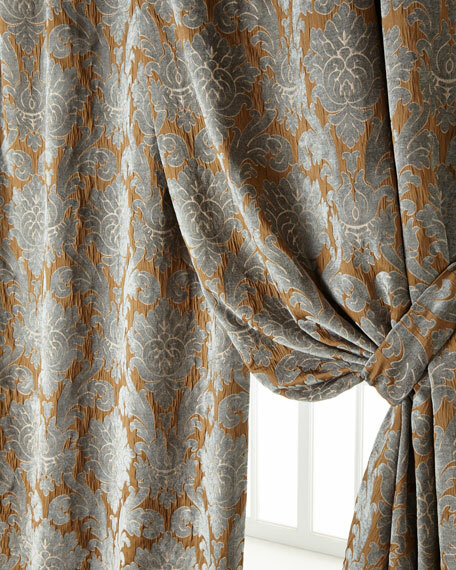 Rayon/polyester damask with rod pocket.